New Museum Will Mention Sexual Assault Accusations Against Bill Cosby After All : The Two-Way After days of criticism, the Smithsonian says the National Museum of African American History and Culture will make reference to the assault accusations against the comedian. Some of Bill Cosby's accusers were upset that the museum did not initially plan to include a reference to the sexual assault allegations against him. The new National Museum of African American History and Culture that's set to open in September on the National Mall in Washington, D.C., will mention that he has been accused by scores of women of drugging and sexually assaulting them. Museum curators initially said that the comedian's contributions to African-American history and culture should stand on their own, but after criticism from Cosby's accusers and heated public debate about how the museum should address his legacy, the museum's director said Thursday that it would include a reference to Cosby's tarnished reputation. 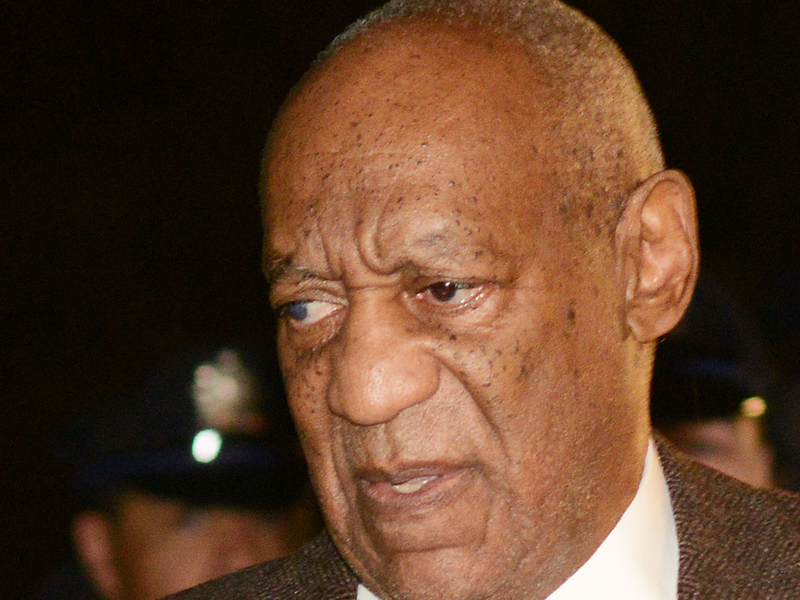 "This is not an exhibition that 'honors or celebrates' Bill Cosby but one that acknowledges his role, among many others, in American entertainment," Lonnie Bunch said in a statement. "Visitors will leave the exhibition knowing more about Mr. Cosby's impact on American entertainment, while recognizing that his legacy has been severely damaged by the recent accusations." According to The New York Times, the Cosby-related part of the museum includes "a comedy record, 'I Started Out as a Child,' from 1964, a comic book from 'I Spy,' and clips from 'I Spy' and 'The Cosby Show,' which are in a five-minute video of roughly 30 television programs." Bunch says that there have been "many misconceptions and mistaken notions about the presence of Bill Cosby" in the museum and that it's important to include the comedian in the exhibits. "Some people feel that the Smithsonian should eliminate all mention of Bill Cosby as a result of recent revelations," he said. "We understand but respectfully disagree. For too long, aspects of African-American history have been erased and undervalued, creating an incomplete interpretation of the American past." "One of Mr. Cosby's accusers, Patricia Leary Steuer, 59, who has said the entertainer assaulted her decades ago, welcomed the inclusion. She said that it wasn't her call to decide whether he should be included in the museum, but she said that mentioning the accusations presented a fuller picture.
" 'Without talking about the specter, the pall, hanging over him, it does not feel like a full representation to me,' she said." Another Smithsonian Museum, the National Museum of African Art, faced a similar quandary last summer when it included pieces of art from Cosby's vast collection. As we reported at the time, the museum decided to post a sign "telling visitors an exhibition that includes art owned by Bill Cosby and his wife, Camille, is 'fundamentally about the artworks and the artists who created them, not Mr. Cosby.' "